We've worked with Derby County Football Club since the original construction of Pride Park Stadium back in 1997 - partaking in the design and installation of kitchen refurbs, new-build catering facilities and even concourse kiosks. Having first worked on the initial kitchens during Pride Park's construction, we've since gone on to provide comprehensive catering facilities in the club's boardroom and hospitality suites, on top of the many fast food kiosks throughout the stadium. We've provided a large part of the Pride Park catering package and understand the client's needs exactly. This year's project came in the form of a huge commercial kitchen serving an even larger hospitality suite. 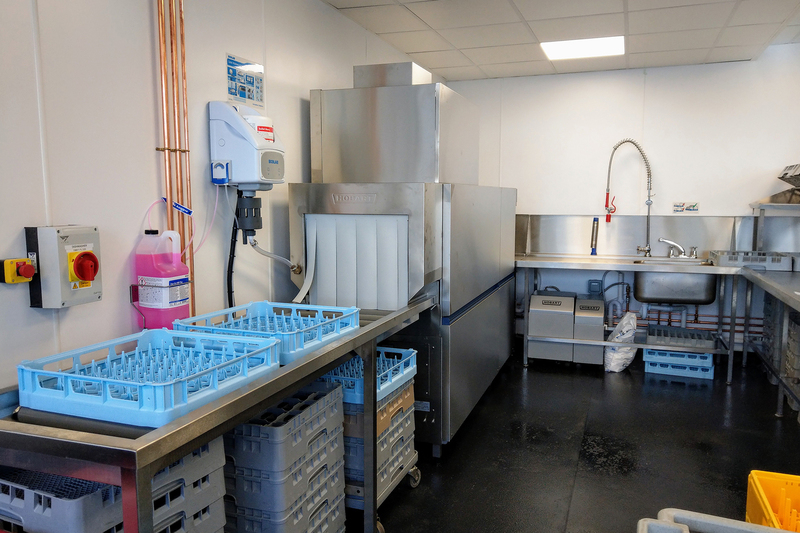 Specialist Account Manager Neil Garlick has worked with DCFC on countless projects and liaised with the client extensively to make sure that their requirements were not only met but exceeded. 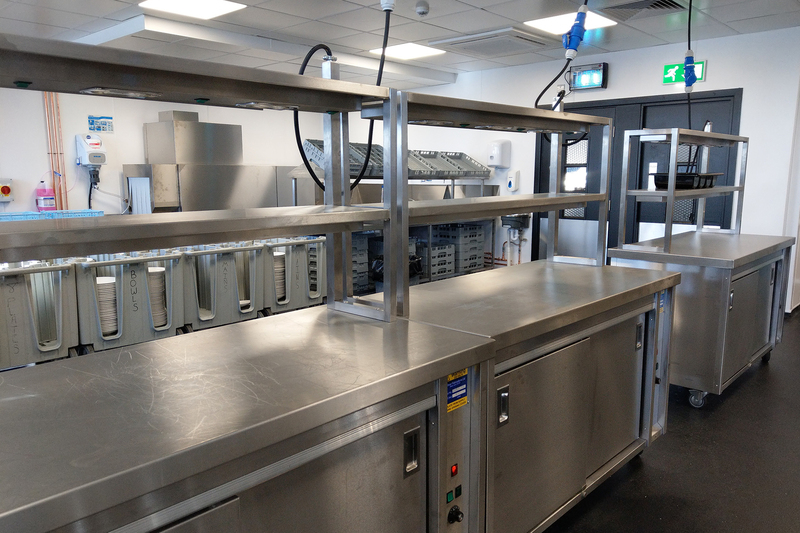 Working closely with the operations teams, we were invested in the project from the start and called upon years of stadium experience to ensure all opportunities to maximise revenue had been seized. 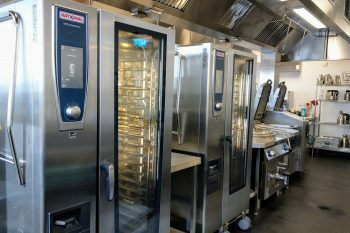 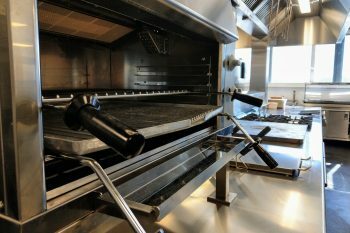 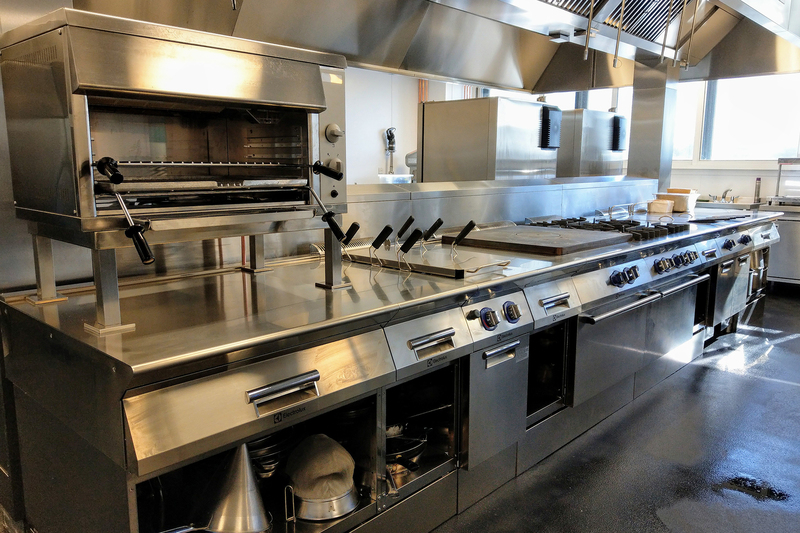 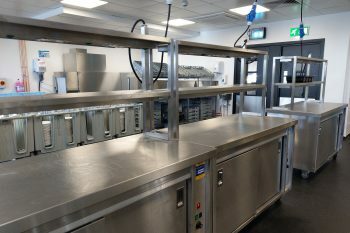 This kitchen required the best of both worlds: heavy duty equipment capable of producing consistently high-quality food on a large scale, whilst at the same time needing equipment versatile enough to offer a varied menu to the corporate clientele that may attend matchdays or conferences. 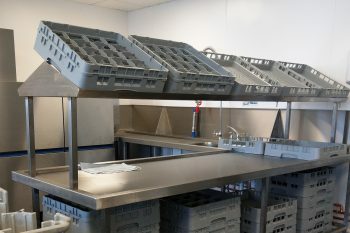 We supplied just under 100 items in order to best satisfy the venue's needs. Calling on equipment from Rational, Foster, Instanta, Hobart and Electrolux, we made sure to rationalise the supplied equipment as well, in order to provide long-term ease in regards to future service and maintenance. 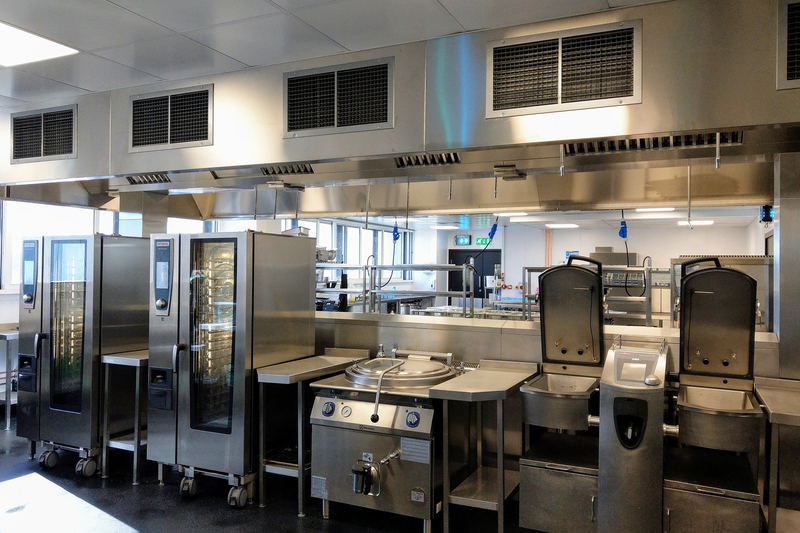 Not just the spec was important, but also the design. 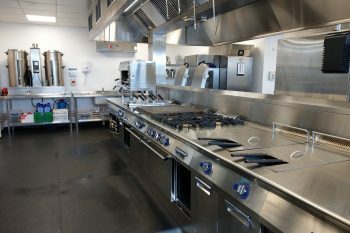 Much care was needed when formatting the layout of the commercial kitchen due to the large amount of hospitality staff. 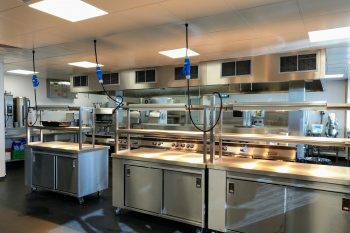 Our project team worked tirelessly to use the space effectively, functionally placing all specified equipment whilst retaining broad walkways for the many Pride Park catering and service staff who'll be coming and going.